The UN Migration Agency announced that more than 2,000 migrants who returned home voluntarily from Greece have successfully implemented personalized reintegration plans in their countries of origin over the last 15 months. 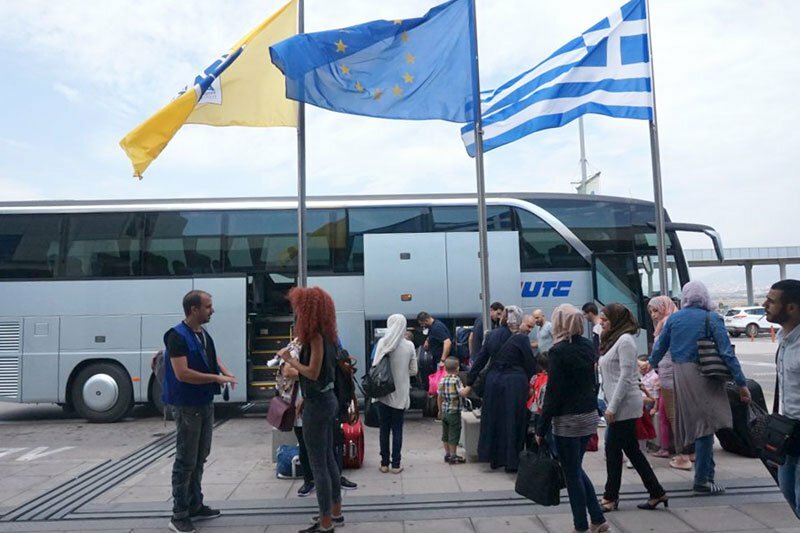 The 2,084 beneficiaries who returned home voluntarily from Greece with International Organization for Migration (IOM) support between June 2016 and September 2017 put their reintegration assistance to use a grant of 1,500 euros in in-kind support. The support was provided exclusively or in combination, to set up small businesses or receive medical assistance, education, temporary accommodation, vocational assistance, material assistance, and job placement. The vast majority of approved reintegration plans were for setting up small businesses (1,953). IOM’s social workers and psychologists, working with cultural mediators, conducted 3,671 individual counseling sessions with voluntary returnees, 2,084 of whom were eligible for reintegration assistance. The main considerations for selecting candidates to be approved for reintegration support are a person’s vulnerability, work experience, and skills that can guarantee the sustainability of the reintegration plan. The vast majority of voluntarily returning migrants originate from Pakistan (1,184), Georgia (342) and Iraq (173). Some 1,750 beneficiaries were male and 334 were female.